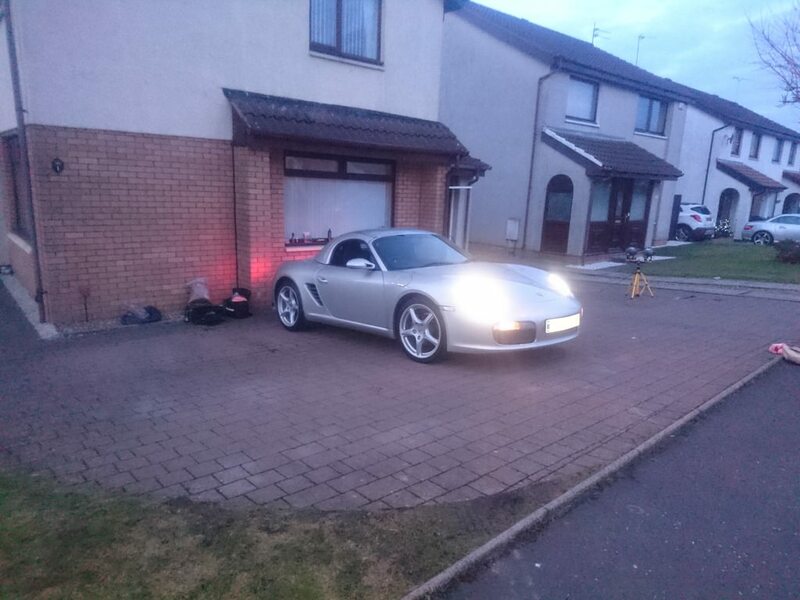 last night my dad asked me if i could detail the car before he takes it into work to show everyone and asked if i could get it looking as best as i could get it along with giving it some protection. i figured this was an ideal time to try out my Carpro CquartzUk that I've had for a few weeks. 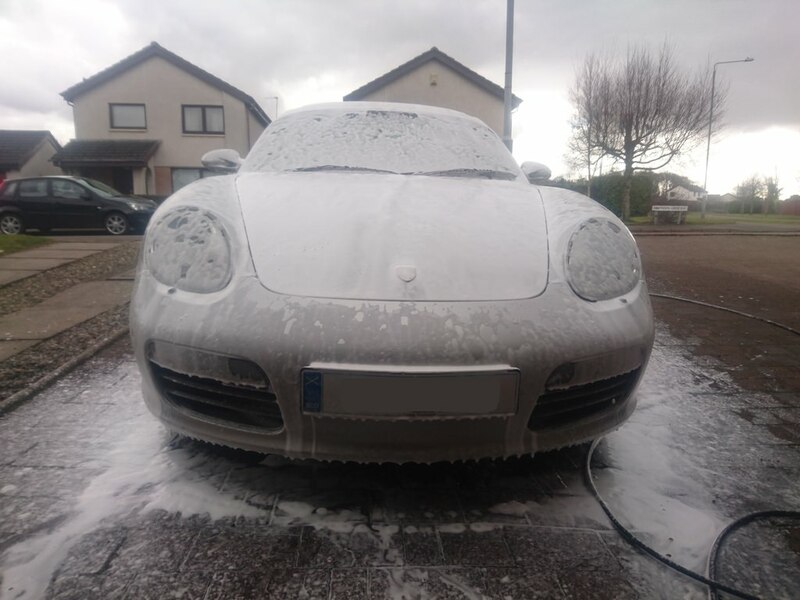 so the car in question is a silver 06 boxster, the car before hand was in pretty decent nick its previously been decontaminated and had a coat of wax before winter but this never had a correction from myself. while that was dwelling on the paint i cleaned out my buckets and cyclone dirt traps with the pressure washer and filled with clean water. and i filled my wash bucket with some shampoo. also that wash mitt is the best wash mitt i have ever used. its the signature group bibulus wash pad. then rinsed and applied some nemesis tar remover from angelwax but there was no tar. 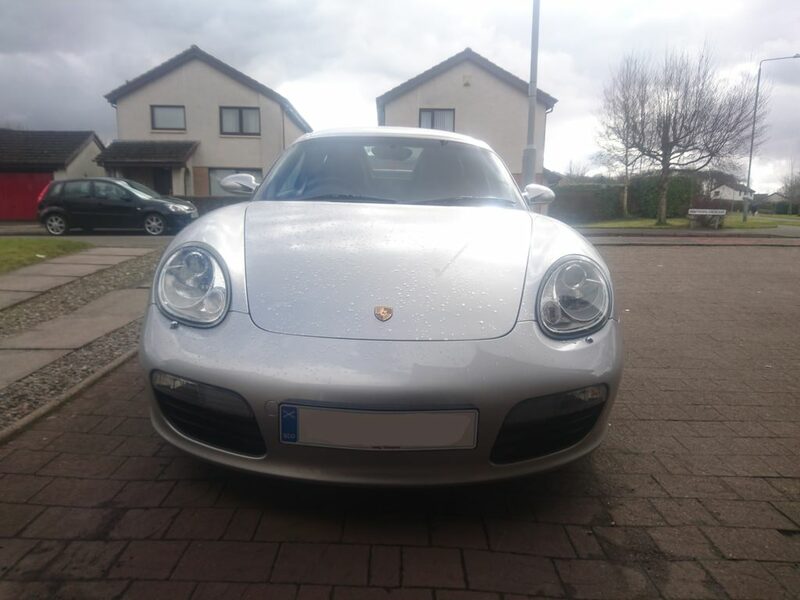 then it was onto paint correction and since the paint was in a good way it only needed a polish so i went in with the a green heavy polosh hexlogic pad and angelwax redemption - finishing polish with the DAS 6 Pro+ and this was enough to remove the swirls. unfortunately all i have are after photos because i was running out of time. now with the whole car corrected, it was time to crack open the CquartzUK, i watched a couple of vids before hand to make sure i was applying it correctly and off i went, it was actually a lot easier than i was expecting. After 1hr i applied the CarPro Reload and i also went round the windows and applied 2 coats of angelwax h2go and dressed the tires with some autobrite tire gloss and we were finsihed. i will get some daylight/sunny photos to show it off better but i am proud of my work and i hope you enjoyed reading!. Last edited by 22rosco22; 15-03-2018 at 12:36 AM. Last edited by 22rosco22; 15-03-2018 at 12:35 AM. Its usually under its cover when I pass!! White Leon Cupra. Although I'm usually pushing a pram when I pass!! I'm just along the road. Street on left as you go over the big speed bump heading from yours.